Dove Cottage, Grasmere. The Lake District home of poet William Wordsworth. Between 1799 and 1808 Dove Cottage was the home of William Wordsworth and his family. Located on the outskirts of the village of Grasmere, it was here that he wrote much of the poetry that made him famous. Next to the cottage is the Wordsworth Museum, which houses a unique collection of manuscripts, books and paintings related to Wordsworth. The Wordsworth Trust administers both the cottage and museum. 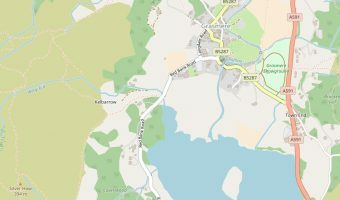 Map showing location of Dove Cottage and the Wordsworth Museum. They usually close Dove Cottage in January to carry out restoration work. There’s a National Trust car park nearby. You can park for free if you are a member. Dove Cottage is extremely small by the way. His other home Rydal Mount was bigger (he had more money when he purchased that). The Wordsworth Trust has just purchased a copy of the poem ‘White Doe of Rylstone’. It shows amendments made to the poem after it was criticised by Coleridge. The trust owns around 90 percent of Wordsworth manuscripts in existence. Wordsworth first saw Dove Cottage while out walking with Samuel Taylor Coleridge. Wordsworth was very poor when he lived at Dove Cottage and actually covered the walls with newspaper instead of wallpaper. 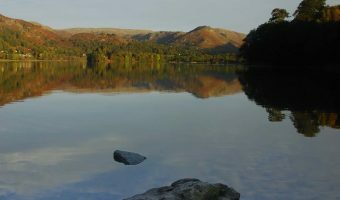 Just one mile long and half a mile wide, Grasmere is one of the smaller lakes of the Lake District.